Astronomy is one of my major hobbies. I have a 10” Discovery PDHQ Dobsonian that I take out waaaay to infrequently. But when I do get out, I see things that are really beautiful. The last time I went out, a few weeks ago, I saw this, one of my favorite celestial sights. It looks great in this picture, but I saw it with my own eyes. Clear and bright. That was fun. For a second I thought you had posted an image you had taken through your dob. I did a serious double take. Wondering what the hell 10" dob could take such an awesome picture of m51. I’m toying with Astronomy. At the moment I only have a pair of binoculars. My aim is to gain some sort of knowledge of sky objects, and build myself a 10 or 12 inch dobsonian. I think the assembly of a telescope will be a fair amount of fun, and then the joys of using it. + the fact that there is a little maintenance that goes into a reflector, and while they’re fairly simple in construction, it can only help your understanding by building one form scratch! I know what you mean. I saw a spiral galaxy through a 10" scope, and it really is a thrill, to actually see a galaxy, out there, with your own eyes. Awesome. I followed the same path you did, and I’d recommend it for anyone. I used binoculars for about 6 months, learning all I could about the sky. That made it much easier for me to find things once I got the dob, with its narrower field of view. I’m not much for building things, so I bought my dob. I know some people who built their own, and their scopes are beautiful. Their motion is generally smoother than mine, although there are mods I could make to make mine move like theirs. 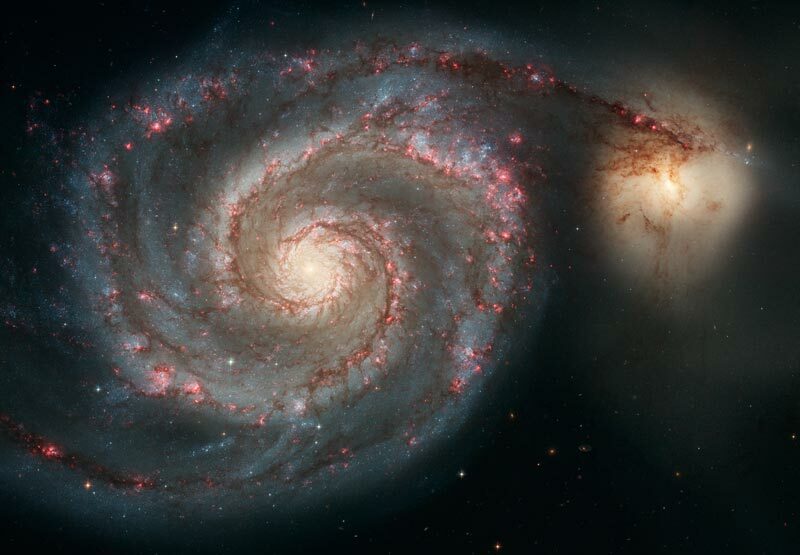 I had seen M51 one other time, through a friend’s scope in Salt Lake City, but this time it was so much brighter and clearer. Definitely the showpiece of the night! A wonderful hooby you have.